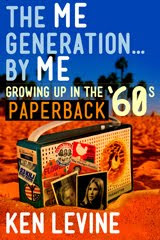 Here's another excerpt from my book, THE ME GENERATION... BY ME (GROWING UP IN THE '60s). It's loaded with photos and videos, and here's the best part -- If you want to buy the book, you can! Seriously! It's for sale! Just go here. I can completely relate to that Ken. 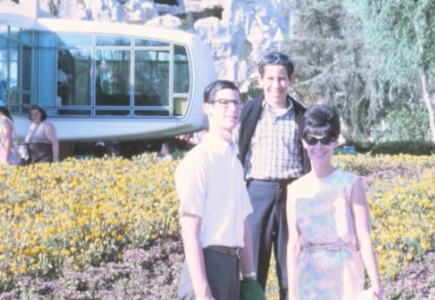 I grew up in Anaheim in the 60's so Disneyland wasn't far away. My Dad watched them build it. I also remember Tomorrowland and how the future will have phones where you can see who you're talking to. HOW AMAZING IS THAT?! Now we have that technology and think I've used it once. 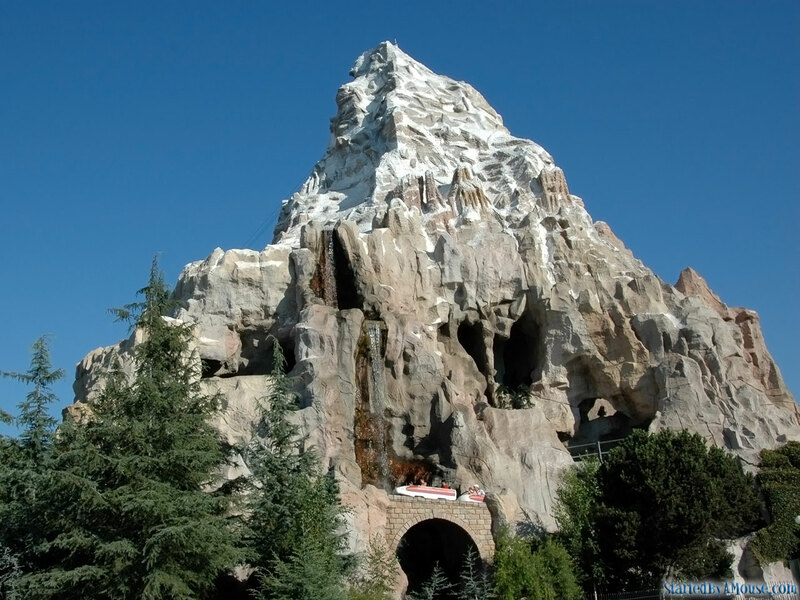 How many times did you leave Disneyland and you're coupon book still had some "A" tickets and maybe 1 or 2 "B" tickets? I'm sure all your "E" tickets were used up. It's funny because I'm actually working on a video right this minute called "Growing up in Anaheim". It's covering 1964-1972 with the music of that time and some intro's from Charlie Tuna, The Real Don Steele and Robert W. Morgan on 93 KHJ. There's a whole segment about Disneyland back then that I was working on when I saw your post come up and that's what you're talking about. Are you spying on me? LOL! Love your blog! In a way, we are living like the Jetsons. Smart Phones, Drones, GPS, We just live on the ground and don't fly without a pilot's license. 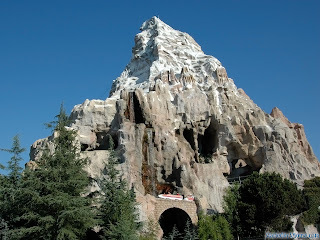 My favorite Disneyland story is when Jeff Garlin was talking about how he went to Disneyland alone one day just for the food, adding, "Now, a grown man by himself in Disneyland is a scary enough sight as it is." "That is when, the first time I ever HEARD her, my grandmother dropped the F-bomb." I bet Nana Pearl wasn't born a "strudel-baking furniture-cleaning grandmother". She probably had a life you wouldn't believe before you entered it. 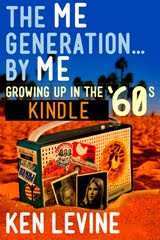 I recently bought "The Me Generation." 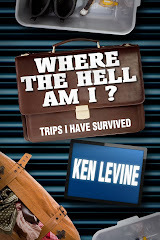 I'm only about a third of the way through it, but I can highly recommend it, not only to baby boomers for whom it is a funny and touching trip down memory lane, but to younger people who must surely be curious to hear what it was like to grow up in a decade about which they have heard so much. I was hoping to learn more about the radio culture of the 60s and it does not disappoint--from page 3: "All kids listened to the radio; I practically had mine surgically implanted. I was so into the hits of that era that I memorized every song, artist, and record label--and retain that information to this day." I was also interested to read that he traces not only his love of baseball, but his love of story telling, the English language, and Farmer John all-beef hot dogs to Vin Scully. It is also shaping up to be a very poignant and charming coming of age story. Told from his self-described position as a geek, he seems to be carving out his niche (I'm only up to age 15). One of the funniest anecdotes is about the friendship he manages to have with a girl he is secretly in love with. 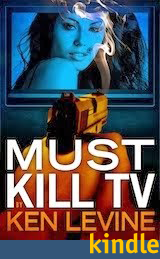 She wants to be an actress so he plays a game with her in which he pretends to be her agent. He will pass her in the hall and say things like, "I'm expecting a call from Otto Preminger. Hang in there. I might have something big for you." I would have waited until I finished to "review" it, but today's post made it too tempting to wait. OK, this has nothing to do with Disneyland so I hope I am not committing some unpardonable breach of protocol. I am grappling with a question of epic proportions – one that I am hoping that the fine folks who frequent this forum (try saying that three times fast) can answer. What the hell is that supposed to mean? Is it some arcane reference to the late Liberace? I have been puzzling over this punchline – and I use the word loosely – for hours and I still can’t parse its meaning. Can one of you comedy aficionados possibly enlighten me as to just the what the hell the joke is? I'm guessing candelabra references the old horror movies from the 1930's. Didn't Dracula welcome Renfield to his castle with a candelabra? And of course Cloris Leachman carried one in the horror parody "Young Frankenstein." Bob Meadows' comment about the TV phone - seeing it in sci-fi as a kid, then having it actually be invented and never using it - reminds me of how many futuristic things I used to see in movies and TV shows and wonder why anyone would want that. I recall thinking as a kid, "Who would want to have to throw on clothes, makeup, etc., every time the phone rang?" Or while watching "The Jetsons," I'd think about all those incompetents like George crashing their flying cars into each other or plummeting off their apartment balcony treadmills in the sky and falling to their deaths. A lot of people still ask why we don't have flying cars yet. People can't even keep from driving Lincoln Continentals into Farmers Markets, and you want to trust the general public with flying cars?! When that news story recently appeared about some idiot crashing a drone into an airliner, my first thought was "Get used to it!" The videophone had already been invented by then. It was shown at the World's Fair in 1964 I think. It was also in a Sears catalog that I got in the mid 80s, but for some reason my parents weren't willing to spend $800 to buy it.